Made with Hemp Seed Oil and "Best deodorant ever" is the feedback for our NEW formula made with magnesium and zinc oxide!! Magnesium and zinc oxide won't disrupt your natural moisture pH balance (no rash)! 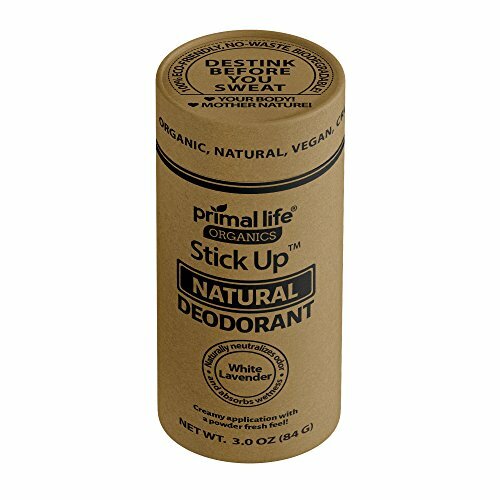 Becomes more effective with use, concentrated formula, 2 to 3 swipes and the stick will last 2-3x longer than other natural deodorants. Baking soda can change the pH of your pits and cause painful rashs- we omitted it from our formula. Added magnesium, zinc oxide, bentonite clay and arrowroot powder is MORE effective at fighting odor from your released sweat and toxins! Video below details best technique to apply specifically for the Black Deodorants. New Stick-Up, new packaging... eco friendly, no BPA. *As we transition to cardboard containers yours may arrive in the white plastic. FREE FROM ALL CHEMICALS, fragrances, aluminum, toxins and desodorantes without parabens and BPA! Final Price as low as $13.22 Shipped!